As the weather warms up, and fresh fruit and vegetables start to hit the stands, I am reminded of our recent how-to video project with Abeego. 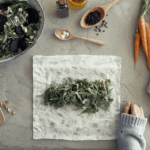 Abeego produces sustainably made, all natural, zero waste, beeswax food wrap. The wrap is made out of a hemp cotton fabric, infused with beeswax, tree resin, and jojoba oil. The wrap is simple to use, it is self-adhesive so it seals with the pressure and warmth from your hands, and attaches easily to any item. 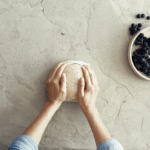 Once the wrap needs to be cleaned, hand washing it with cold water and biodegradable dish soap gives your food wraps a longer life span; Abeego beeswax wraps can last up to a year or longer with proper care! 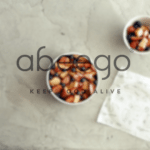 Below are a couple how-to videos we shot for Abeego, showcasing their innovative product. Beautiful art direction and styling was curated by Laura at Caribou Creative. 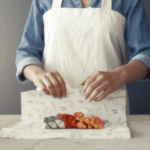 These videos are directed and styled simply, to showcase the effortlessness of the wrap and how easy it is to reduce food waste and waste products to make a difference in your environmental footprint, with something as easy as beeswax food wrap!